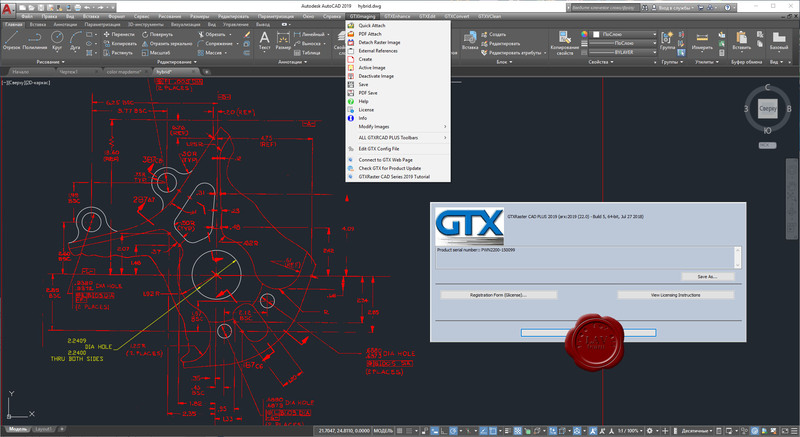 GTXRaster CAD PLUS contains all the raster editing and manipulation capabilities of GTXRaster CAD with the added functionality of automatic raster to vector conversion technology for the AutoCAD environment. Engineering Designers take advantage of the GTX industry leading software that has been providing solutions for over three decades! If you are working with scanned paper drawings, either black and white or colour, and the AutoCAD 2019, then GTXRaster CAD Plus 2019 provides you with the most cost effective raster cleanup, raster editing, or raster-to-vector conversion solution. Save time and money!